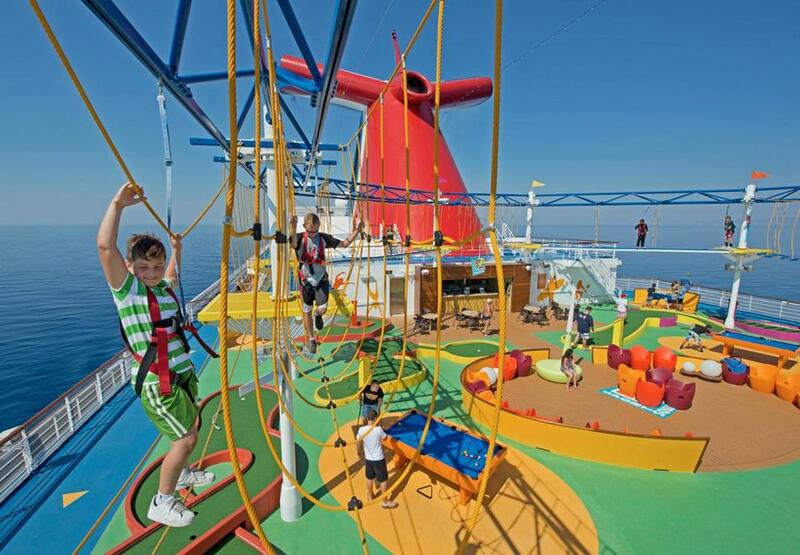 Children try a ropes course aboard a Carnival cruise ship. But will cruising be a happy experience for you and your tribe? To help you make that decision, we went to an expert, Heidi Allison. A partner at CruiseCompete (www.cruisecompete.com), cruise specialist Allison is the author of “Sea Tales 2019: Family Cruise Travel Planner,” and a veteran of more than 70 cruises with kids. We asked her the questions we often get asked about family cruising. Here’s her advice, plus a list of cruise ships that are tops for families. Sure, she’s in the business, but Allison contends that a cruise is one of the best travel values out there. Many cruise lines are moving toward a completely all-inclusive format, so you know what your trip will cost you up front, she says. “Most cruise rates include shipboard accommodations, 24-hour cabin service, standard meals or buffets in the dining room, ports of call, and most entertainment aboard the ship,” she notes. Children’s programs are also included. “Factor in the amenities included in the rate, and you’ll discover that a seven-night cruise generally costs less than seven nights at a comparable resort,” Allison says. We’re launching a new column: Help Desk, where we answer burning questions about living in Massachusetts... and life in general. It’s hard to beat the sheer joy of floating in a pool in the middle of the ocean. Won’t we get bored senseless just sailing around all day? Not likely. “The flurry of activities on board a cruise ship is amazing,” Allison says. Aboard ship, typical activities include water sports, pool activities, fitness centers, live entertainment, casinos, bingo, dance lessons, talent contests, karaoke, wine tasting, rock wall-climbing, spas, movies, even roller-coasters and surfing. Plus, most days are spent ashore, in ports with plenty to see and do. Ships typically arrive in port early in the morning, allowing time for exploring. Cruise lines offer their own shore excursions using local sightseeing companies. There’s an additional charge for this on most ships. You also have the option of arranging your own sightseeing excursions, a money-saving gambit used by frequent cruisers. Just be sure you head back to the ship with plenty of time to spare so it doesn’t sail without you. CruiseCompete also offers discounted shore excursions on its website. I love my kids, but . . . a cruise ship cabin is claustrophobic and they’ll be climbing the walls, right? Babes at sea: Yay or nay? Age-wise, 6 months is the minimum age for cruising with children on most lines, but it can be 12 months on trans-Atlantic and other select voyages. Those lines that offer children’s activity programs generally begin them at age 2, but lines may start as young as age 1, or as old as age 5. Baby-sitting services are available on some cruise lines, but not all of them. Expect to pay a premium for that. 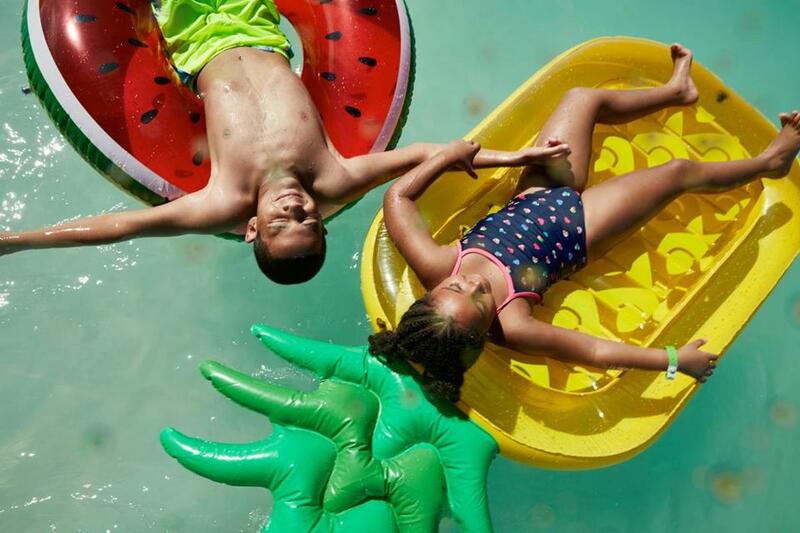 Keep in mind that cruise lines vary widely when it comes to kid-friendliness. Some cater to families with children’s amenities and programs; others allow, but don’t promote, travel with young children. Some lines discourage bringing young children aboard (imagine that!). Some lines accept babies in diapers, but some do not. So do some research before you throw down a deposit, Allison advises. Any tips you can share to maximize our chances of having a swell time at sea? “Give everyone responsibility for trip planning,” Allison says. “This helps children become invested in the vacation.” For instance, have an older child research shore activity options. Have a family budget for your vacation. “If you children have their own money, how much will they take along, or will you give them a certain amount? Will they be allowed to purchase a memento from the trip?” Spell this out before you go. Research the ports of call you’ll be visiting. “As you learn about these places, ask your children to give you a list of two or three things they’d like to do on this cruise,” Allison suggests. For safety’s sake, enact the buddy system. Don’t go anywhere alone. Ever. And finally, if something goes wrong (not involving bloodshed or the brig), don’t sweat it. Today’s travel foibles are tomorrow’s best anecdotes. Diane Bair and Pamela Wright can be reached at bairwright@gmail.com.